It was one of the early Singapore brands to seek a global footprint, and Banyan Tree is ready for a whole new era of expansion, executive chairman Ho Kwon Ping tells Karen Tee. The hotel industry is no stranger to disruption, what with the rise of vacation rental sites and growing consolidation in the hospitality sector. Singapore’s Banyan Tree Holdings, which launched its flagship resort in Phuket in 1994, has chosen to stay the course, recognising that its unique brand of luxury Asian hospitality remains an industry gold standard and a core strength. However, that does not mean that the hotel group is not seizing new opportunities beyond the luxury sector. It is growing its portfolio to appeal to a wider range of travellers, from millennials to the active silver generation. Newly forged alliances with strategic partners will also be key in helping the company extend its global reach, says executive chairman Ho Kwon Ping. As travel preferences evolve, what are the opportunities and challenges for the luxury hospitality industry? Ho Kwon Ping (HKP) Today’s travellers seek authentic, local experiences in varying degrees. Banyan Tree prides itself on providing these experiences through a strong sense of place at every one of our 41 hotels and resorts, where we convey the story about the location and its people within the design of each property. We also ensure high standards of excellence and provide the signature Banyan Tree hospitality experience for every guest. This will continue to be our unique advantage. To remain competitive and relevant in an increasingly crowded brand world, we have developed a portfolio of four hospitality brands—Banyan Tree, Angsana, Cassia and Dhawa—for an increasingly diverse customer base, while retaining our signature hospitality across all brands. 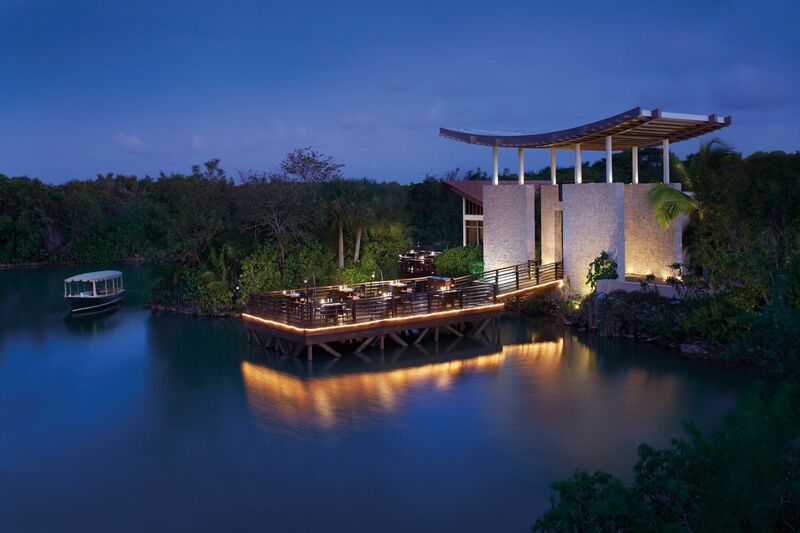 With large hotel groups increasingly consolidating, how is Banyan Tree differentiating itself? HKP As an independent boutique hotel operator, Banyan Tree seeks to chart its own path through these global trends of consolidation. Our competitive advantage is in the distinctive character of our brands, authentic and memorable stay experiences and the socially conscious ways we do business. Sustainability is key to the Banyan Tree philosophy. We believe we can do well and do good at the same time. The collaboration with strategic partners—global hotel group Accor and China’s largest real estate developer Vanke— are transformative alliances that herald an exciting future for us. Our global partners are well‑positioned to help us extend our reach globally. Accor has an extensive global footprint and a highly experienced business development team that will propel our expansion into the markets of Europe, Middle East, Africa and the Americas. The venture with Vanke consolidates the ownership of Banyan Tree‑branded hotels and assets in China, which is a significant market for us. As one of the early Singapore brands to go global, what lessons did you learn that are of value to today’s Singapore entrepreneurs? HKP Being a Singaporean brand gives us the added edge overseas, as we are perceived as more professional, efficient, with good integrity and governance. Having said that, Banyan Tree is a melting pot of diverse cultures with over 60 nationalities within the group. The cross-cultural diversity and synergy create the necessary ingredients for innovation, which is a key value for us. For example, we introduced Dhawa—a new line of hotels for younger, design-savvy travellers—in Cuba, making us the first Asian brand to enter the market in a significant way. That’s a reflection of our innovative spirit. Innovation also permeates the entire organisation and is encouraged from the ground up. Our hotels have regular innovation and brainstorming sessions to identify new experiences for our guests. Some of these experiences developed within a hotel or through our annual talent management training workshops in Phuket have been implemented as new initiatives and brand standards across our hotels and resorts. In addition, brand propriety is important. Develop your brand and own it; you can then be sustainable in the future with a regular base of loyal customers. What niche areas in the travel industry do you view as growing or underserved? HKP Banyan Tree’s global footprint is strong in Asia and parts of the Indian Ocean, with a growing presence in Central America. We’re looking to expand in Europe and the Americas. We see a growing demand for wellness retreats and will continue to strengthen our wellness offerings. Active agers are an underserved segment—we’re looking at projects in China with our strategic partner Vanke that can serve this clientele base with activities, facilities and services that are more suited for them. How will Asean’s regional economic integration will impact Banyan Tree’s expansion strategy? HKP Economic growth in the Asean-5 (Indonesia, Malaysia, Philippines, Thailand and Vietnam) will exceed 5 per cent for the next decade. With fewer regional trade barriers, companies can seek first‑mover advantage in these markets for further growth and development. For Banyan Tree, we will continue to explore opportunities for expansion in these growing markets.